World Première of the Opera Slow Man at maltafestival poznań 2012! 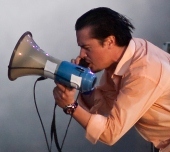 Faith No More, Muchy, Snowman and even more music at Malta Festival Poznań 2012! As always, this year’s Malta Festival Poznań abounds with music events. Look at the brief preview!